Meet Chelsea and Tommy, a couple that makes me smile every single time I am around them! Chelsea and I met in high school and ever since then have been friends! Shortly after I met Chelsea, she started dating Tommy and I have known him for what seems like just as long. 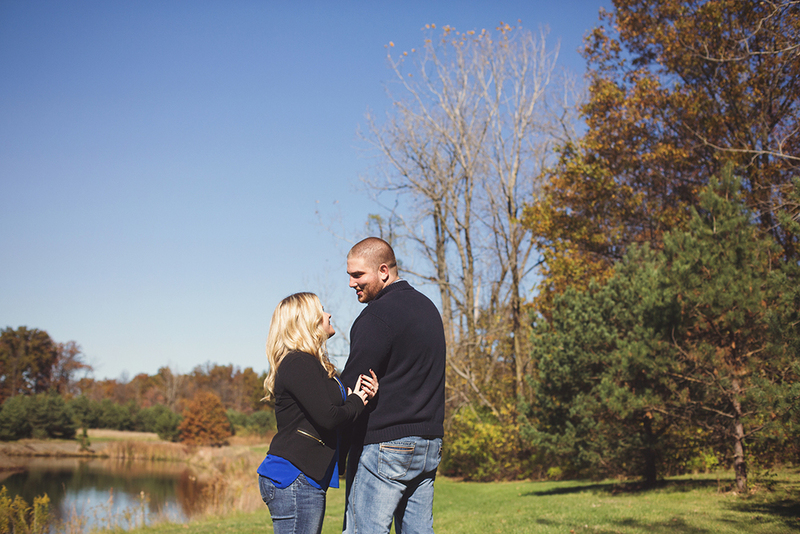 We thought it would be fun to do their engagement session at Chelsea's fathers property in Sunbury, which was full of beautiful trees, a large pond, a cute shed, and a bridge. It was exactly what they were looking for. These two made it so easy for me to capture the love and laughter they share together. Chelsea is honestly one of the sweetest, happiest people I know, and I am so glad that she found Tommy to have by her side through life. Here are just a few of my favorites! Enjoy!